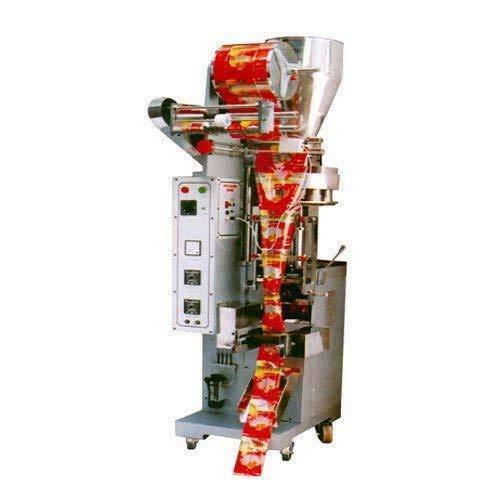 FFS Center Sealing Machine is widely used in various packaging purposes for packing powder, granules, tea, puff, namkeen etc. These FFS Center Sealing Machines are known for their high tensile strength, dimensional accuracy and sturdy construction. Custom designs of FFS Center Sealing Machine for specific requirement are also offered by us. Our range of FFS Center Sealing Machine is manufactured from quality raw material and is widely used in various packaging purposes. These FFS center sealing machine are known for its high tensile strength, dimensional accuracy and sturdy construction. Film Roll Size: 0 D 250 to 300 mm max. I.D film reel pipe 75 mm min. Established in the year 2006, We Zara International are a leading manufacturer and Exporter of a wide range of Industrial Packing Machine and Filling Machine. We are a Sole Proprietorship firm that is incepted with an aim of providing superior quality range of machines. Situated at Faridabad (Haryana, India), we have constructed a wide infrastructural unit that plays an important role in the growth of our enterprise. Under the headship of “Mr. Idrees Khan” (Proprietor), we have gained huge clientèle across the nation.